So, what did I get in the week of Sunday, December 1st to Saturday, December 7th? Thank you to The YA Bookcase, for sending this to me! I'll be guest-reviewing for them in a few weeks (hopefully less than that). THANK YOU, PAULA! I cannot wait to dig in. I need a good contemporary novel to bring me out of this contemporary funk I've been in. Check out the summary for this one. Sounds EPIC! I CANNOT WAIT TO READ THIS BOOK OMG! I know it's already released overseas, but GUYS. This book. Nuff said. I CANNOT WAIT TO READ THIS ONE! I have been dying to read it, ever since Amy began hinting about her "Juneau" project. Ahhh! Okay, I have no idea what this book is about. I only downloaded it from Edelweiss because the entire blogosphere was freaking out about this book when Harper made that giant upload... so I figured I shouldn't miss out. I've gotten really picky with my contemporaries, but I like the sound of this one. I have a physical copy of this one, but it was FREE on Amazon the other day... so why not? I have yet to read it though. Week one of death is over! Actually, this week is the worst week of the semester (in terms of exams), so I'm glad to be finished with it. Bring it on, calc and chem finals! Honestly, I've never read any of Amy Plum's work before but this book sounded good so I snatched it up, too. Great, GREAT haul this week (I love Elusion's cover - it's coming up on my TBR pile!)! YAY! Well, you are probably one of the many that indirectly convinced me to download The Murder Complex. 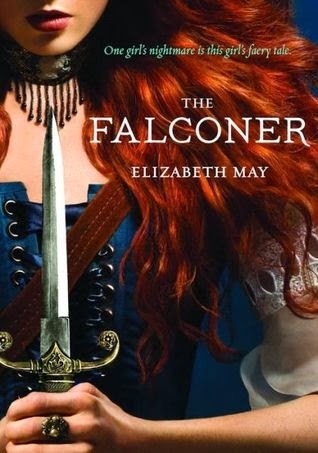 And I've been dying to read The Falconer since like, June! I love the UK's cover, but this USA cover is great. I hope you enjoy Elusion! 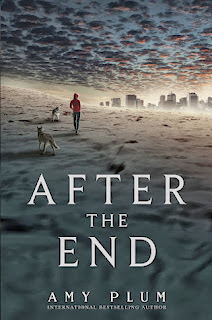 After The End looks amazing! I can't wait to get my hands on a copy. Love the cover of Elusion, absolutely stunning. Awesome Haul, thanks for sharing. I hope it IS amazing! And Elusion is definitely one of the prettiest I've seen this year. Thank you! I'm the same way about The Murder Complex. All I know about it is that a ton of people are excited about it for some reason. So, naturally, I'm curious about it.I'm so excited to read After the End! It may be in the top ten 2014 books looking forward to. The Falconer, too. I want to read that one so badly! RIGHT! I hope you and I both like it. After the End and The Falconer will be awesome as well, I'm sure. Thank you! I really hope you get approved, Jessica! Perhaps it just takes time and patience. YOU GOT THIS! 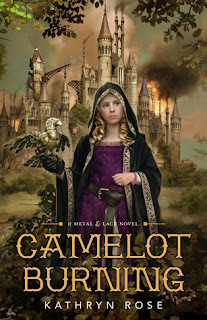 Camelot Burning and The Falconer both look interesting. Great picks! We got a lot of the same books from Edelweiss. THE FALCONER??? I cannot wait to read it! And awesome that you got an ARC of Elusion. Have fun reading! Here's my STS. YAY! That is awesome. I hope you really like The Falconer! Thank you, Tammy. Great haul :-) Some lovely covers! Enjoy! I missed when The Testing was free , I am going to snag it up though. Happy reading! Aww, I'm sorry! It's on sale for $2.99 right now, I believe. Thank you! Oooh you got the Art of Lainey! I'm excited for that one! Camelot Burning definitely looks epic! Fantastic haul! Hope you enjoy! YES! I'm very excited to read it. Same with Camelot Burning. Thank you so much! HAHA, right?! 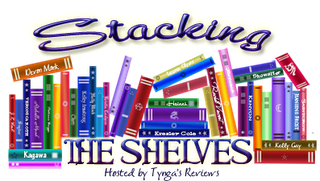 #ARCParty plus massive EW upload = overwhelming amount of books in STS posts. Thank you! What a great haul! I also got The Falconer from Edelweiss and I'm so so excited! 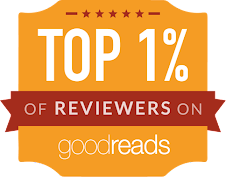 A bit envious of you getting After The End & The Murder Complex! You'll get them soon, I'm sure, Pili! OMG YAY for After the End! That's awesome that you all have it! And I cannot wait to work with you and Elusion! I'll be in touch shortly. Great haul! 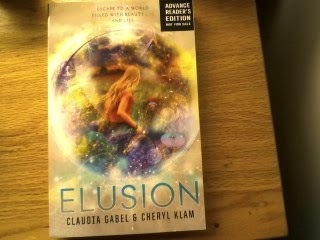 I love that cover of Elusion...so pretty. I hope the book is as good as the cover. We shall see. 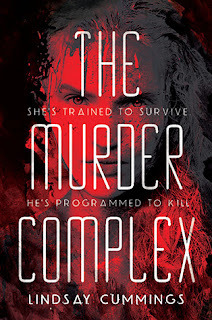 The Falconer looks amazing and I can't wait to see thoughts on The Murder Complex. Have a great week. 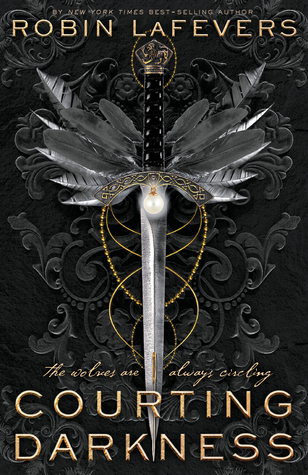 I love it when the covers are gorgeous and the books are amazing! I hope that is the case with most of these. Thank you, Kristen! Nice haul! Some of these look really great and we even have a few in common this week. 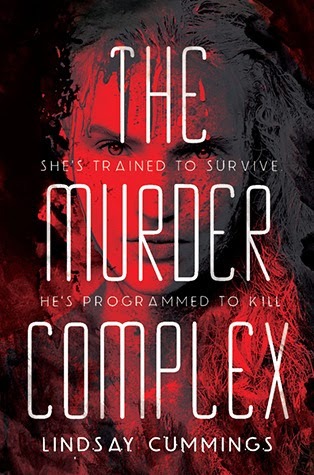 I'm especially excited for After The End and The Murder Complex, both look really great. I hope you enjoy them all :) My STS. That's fantastic! I hope you enjoy them. 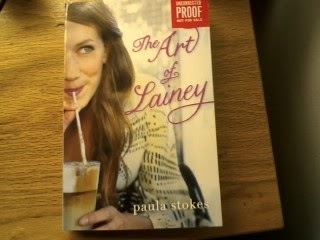 I may or may not be drooling over your signed copy of LAINEY. EEP! So awesome! I just love that cover of Elusion! So many pretty colors. I hope you enjoy!!! Aww, Sara! I'm sure you of all people will get an ARC. And right?! It's like a snow-globe of gorgeous. Thank you! After the End and The Falconer both look great, looking forward to reading both of those. I am especially excited to read those two! Hope you love them when you read them. Yay for new Harper titles! 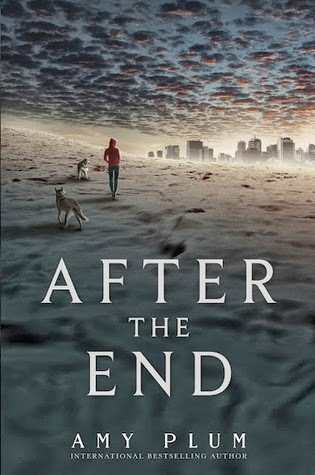 SO excited for After the End! I also love Elusion's cover! I hope it's good! And yay Art of Lainey! I think I saw people talking about it on Twitter and it does look super cute. I hope you enjoy all your new books! 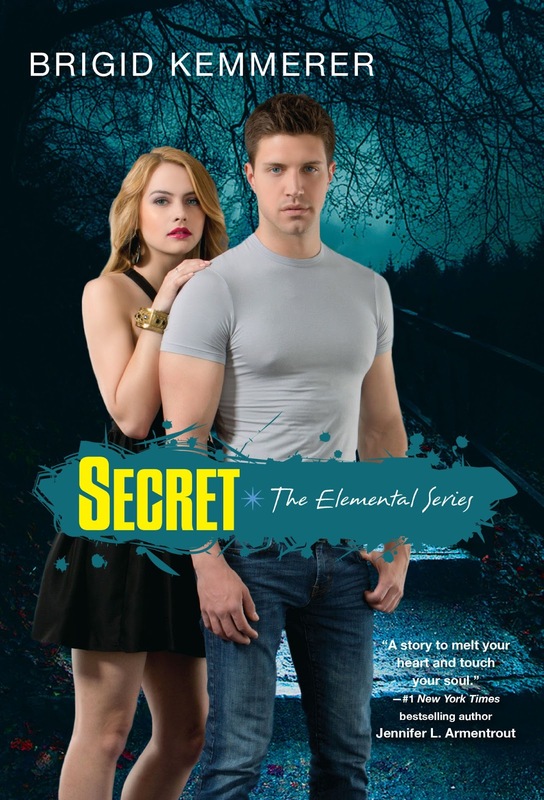 AHHHHHHRRRR Elusion looks so pretty <3 and I'm so behind, I still haven't read Spirit so there's no way I'm starting Secret... even if it's about Nick... My love <3 ^_^ I hope you loooovvvee it!! I'm looking forward to it so much. The Testing is pretty good. 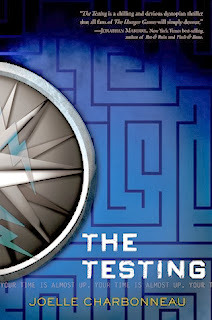 Same-ish to the Hunger Games, yet enjoyable. 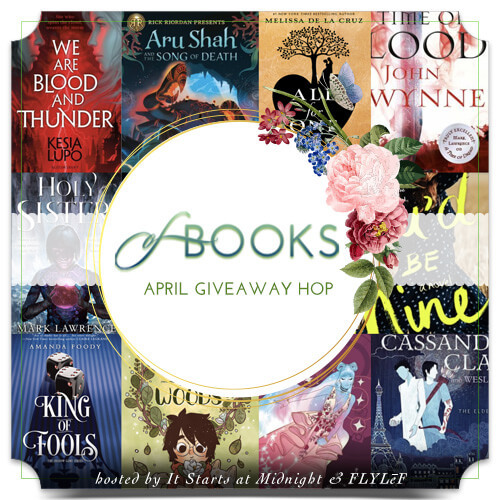 A really great week in books! COOL! I'm glad. You too, Carina! I think so too! I need to stop with the Edelweiss. And Paula is fantastic and had a giveaway on Facebook - I was super speedy. Thank you! Girl, I know how you feel! I am quite sure they will accept your request soon. And I had no idea about Lindsay and Instagram! Probably because I don't have an Instagram lol. GOOD LUCK ON YOURS AS WELL! I am not familiar with some of these books. But yes to Elusion and The Murder Complex. I just downloaded the latter from EW because as you've said, everyone is hyping about it. And well, the premise is really awesome. It's recommended for fans of Hanna and well, I liked that movie despite that it has a lot of flaws. I am still making up my mind whether I will download Elusion or not. I hope it's really like Inception though because that movie is one of my favorites. I haven't seen Hanna! But an interesting comparison. I hope you do download Elusion! I'm sure it'll be amazing. I have to read it soon. Thank YOU, Charlotte! No worries! Great books. We have several of the same. 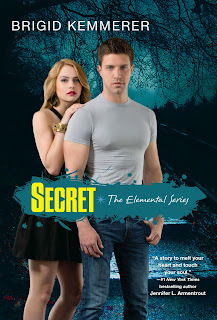 I can't wait to read The Secret.